England have never won the ICC Champions Trophy. They had reached the final for the first time in 2004 but failed to get past West Indies. Then reached the semi-final in 2009 but lost to Australia. In the last edition of the tournament in 2013, a deficit of five runs separated them from the title. Home conditions will definitely be on their side in this tournament. But more than anything, it is the modern-day limited overs England team which has earned itself the tag of 'Favourites'. In the last 12 months, England have lost only one (against India in India) ODI series. The last series which they lost in England was against Australia in September 2015. In the last 11 times that England has batted first in ODIs, nine times they scored totals of 300+. The equation went up to 444-3 in an ODI against Pakistan. They fell short of just four runs (296-6) in the remaining one time. Such has been the strength of their batting order! Jason Roy has been given a specific role in the side, i.e., bang-bang from the word 'go'. He has not disappointed so far in the 42 ODIs that he has played. His opening partner in Alex Hales has scored 661 runs in 14 matches at an average of 55.08 and a strike rate of 110.53 in the past year. The numbers are better than his respective career average and strike rate of 38.73 and 95.81. The management would be expecting this duo to keep providing the same kind of starts that they have been providing till now. England are already being termed as 'Favourites'. Irrespective of the format, Joe Root is one of the most reliable names in world cricket at present. 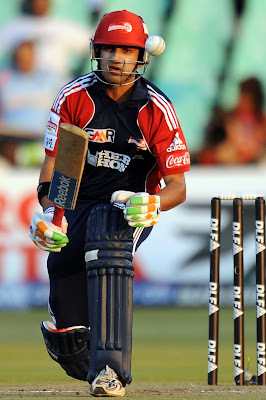 He, along with captain Eoin Morgan, are the pillars around which this English batting line-up should revolve. Talking of reliable names in world cricket, Ben Stokes is another such names when it comes to wearing the all-rounder's cap. Stokes is an asset to any team in any format and in any condition. With an ODI strike rate of 118.45, Buttler has the potential to win matches for his side single-handedly. On his day, he can dominate any bowling attack in the world. Moeen Ali has emerged as a vital all-rounder for England. 29-year old Ali has a ODI batting strike rate of 103.26, which comes in handy in the position at which he bats. His offbreaks have yielded wickets at crucial times more often than not. The long list of English all-rounders is what makes their line-up so efficient. Strike bowlers in Chris Woakes, Adil Rashid and Liam Plunkett can also bat with authority down the order. Credit for England's recent success goes to their bowlers as well. In the past year, Woakes has taken 33 wickets in 19 matches at an average of 25.75 and a strike rate of 29.7. His overall career average is 31.56 and strike rate is 33.8. In the case of Plunkett, the 32-year old right-arm fast bowler has 35 scalps in 19 matches that he played in the last one year. An average of 26.08 and a strike rate of 28.1 are again better than his overall career average of 31.13 and strike rate of 32.3. Comparing Rashid on similar grounds, he dismissed 36 batsmen in 20 matches in the last year. A respective average and strike rate of 26.41 and 29.2 is better than his overall career figures of 34.12 and 36. Mark Wood is likely to share the new ball with Woakes. In Jonny Bairstow and Sam Bilings, England have two batsman with a lot of potential. Both of them would be keen to grab any opportunity that comes their way in the tournament. In David Willey and Jake Ball, they have a left-arm and a right-arm fast bowler in the reserves. Down the order, Willey can be come good with the bat as well.